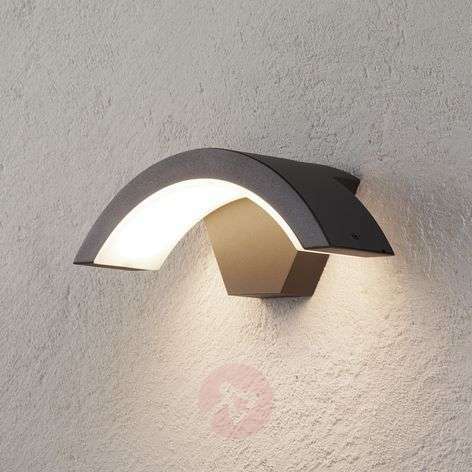 Why should I choose an LED outdoor wall light instead of an older style light? Are LED outdoor wall lights weatherproof? Are they protected against seawater? How do I instal an LED outdoor wall light? 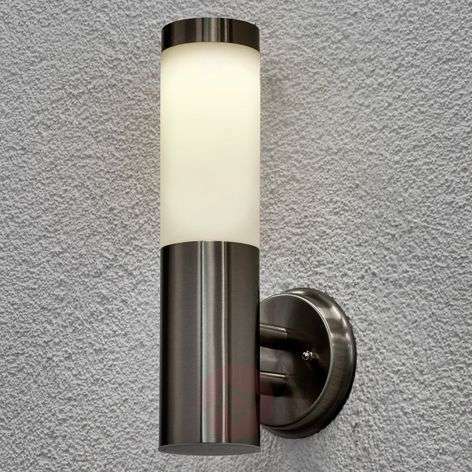 What is the right height for an outdoor wall light? How can I get a replacement glass? Do they have motion sensors? Do LEDs come in different colours? What styles do they come in? You might have guessed by now that we’re big fans of LED lighting technology: If you’re looking for outdoor lighting, LED is definitely the way to go. 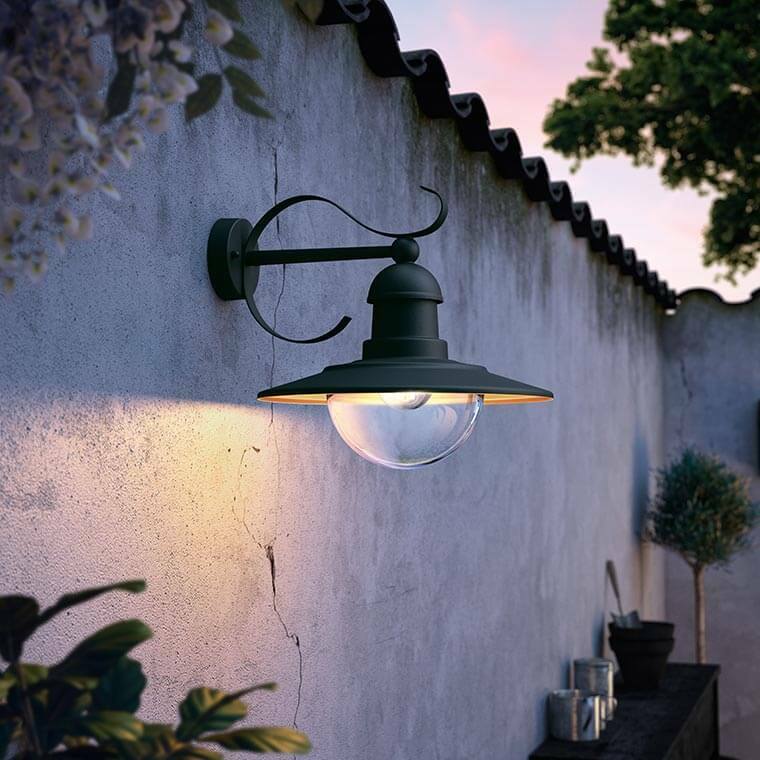 Outdoor wall lights are a good idea, whether they’re LED or regular halogens. Why? Because they make your property safer by illuminating pathways, etc. They also improve security by deterring burglars and they improve the appearance of your property. 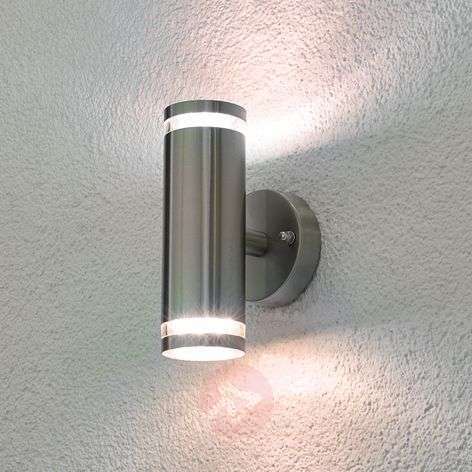 So why choose an LED outdoor wall light over a “normal” wall light? For a start, LEDs are kinder to the environment because they don’t require mercury in the manufacturing stage (unlike fluorescents and CFLs). They are more economical to run (needing about 90% less power than old-fashioned incandescent bulbs) which saves you money every month but also is more environmentally friendly as less power means less power generation is needed. Finally, LED bulbs last for about 20,000 hours of use which is up to 10-15 years. If you’ve got a question, we’ve got the answer. 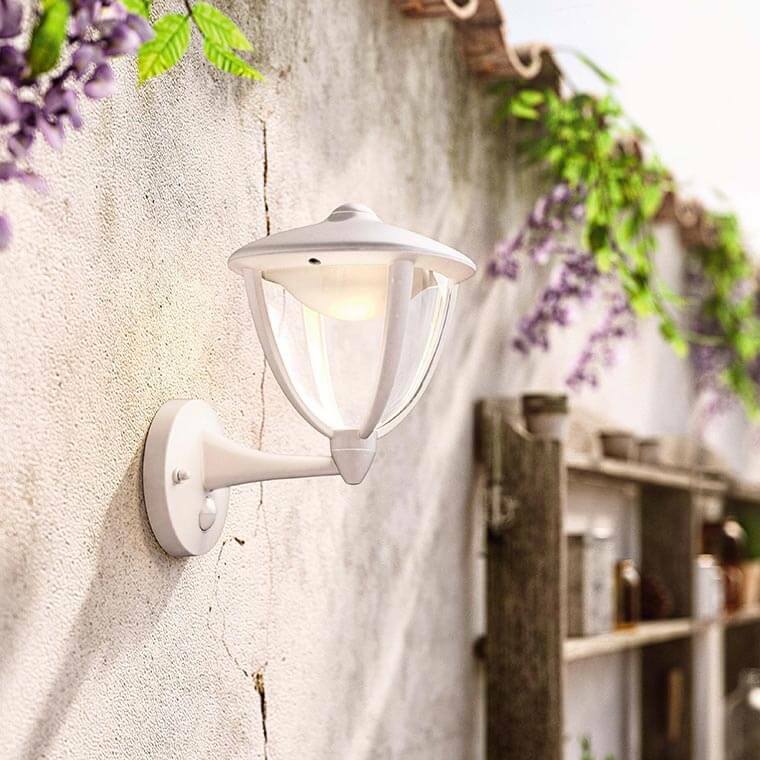 Have a look through the most-commonly-asked ones below and you’ll find everything you need to know about our amazing LED outdoor wall lights. If you don’t find an answer, just contact one of our advisors here instead. Yep, but not all to the same degree. 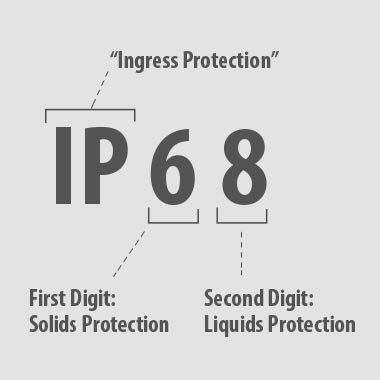 Outdoor lights are rated according to an ingress protection (IP) code which measures how much protection they have against the weather. You’ve got to be a bit careful if you live near saltwater - We recommend that you avoid aluminium or steel materials which can corrode and rust in the salt air. Look for lights that are made from Poly (methyl methacrylate) (PMMA), heavy-duty plastic or brass and have a look at the technical specifications for your light to make sure it says “Corrosion-resistant = YES”. Call an electrician. Or, if you are reasonably competent when it comes to DIY and wiring, we provide detailed step-by-step instructions with each light (they really are quite easy to put up). That’s really up to you (just choose a height where the light won’t dazzle you). If your light comes with a motion sensor then there will be a recommended height in the manual. Ask the manufacturer – the details will be in the manual or in the technical specification on the product page on this site. If you’re not sure, just get in touch with one of our customer service agents here and they’ll sort you out. Some do, some don’t. If you use the filter field in the search section above, make sure you select “Incl. 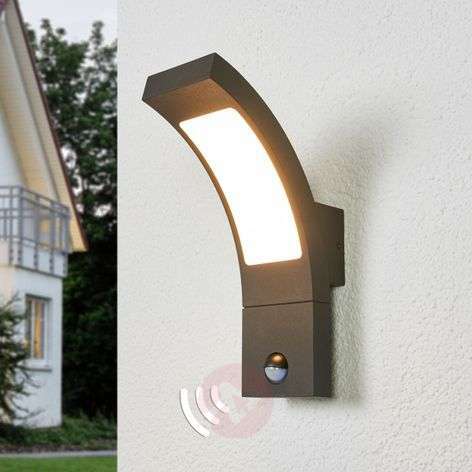 motion detector” and you’ll see all of our outdoor LED lights that have built-in motion detectors and dusk sensors. Actually, it’s a good idea to choose these lights above the regular ones because they’re not only useful, they’ll make you feel very safe. The lights will come on whenever they are needed (as you walk in your gate, for example) and are triggered by any movement and that can bring peace of mind too. Also, because they only come on when triggered, they save power. 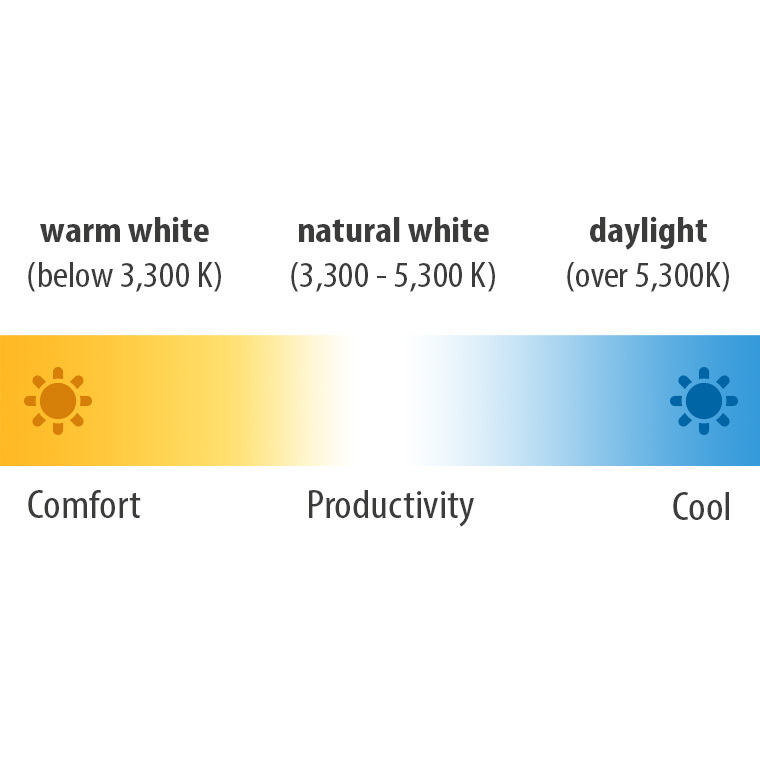 Use the filter field in the search section above and select “Luminous colour” to find lights with warm white, universal light, day light and more. Our LED outdoor wall lights come in all sorts of styles. Just set the filter in the search section above to find antique, country house, rustic, designer, hotel, restaurant, industrial, maritime, Mediterranean, modern, office, Scandinavian, shop and vintage lights.